Former Republican Wisconsin Governor Scott Walker is reportedly mulling another bid for statewide office. 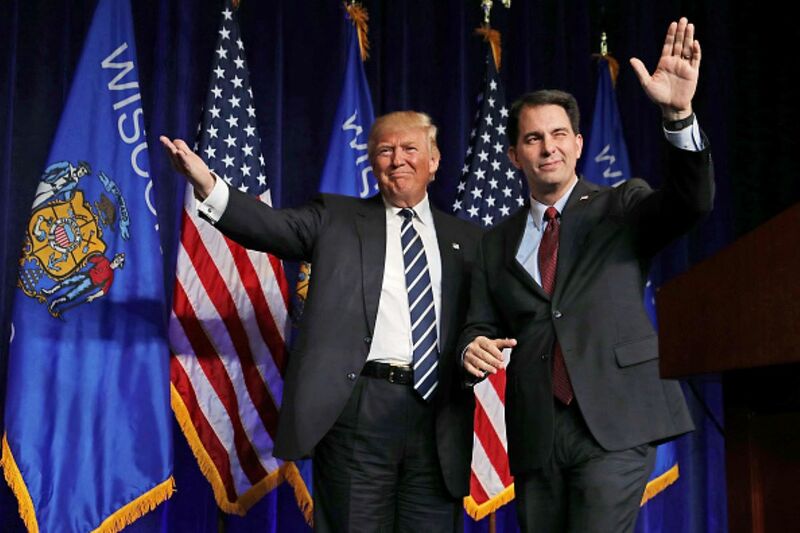 The Washington Post reported Tuesday that Walker is “not ruling anything out” for 2022 and has his sights set on running for a senate seat or the governorship should an opportunity arise. Current Democratic Wisconsin Governor Tony Evers just last year defeated Walker for the office. Based on the results of a Marquett poll from January, Evers enjoys strong support for a bevy of his key budget and policy priorities, which include expanding Medicaid through federal funding, increases in education spending, and legalizing recreational marijuana. Walker also has his eyes set on another office: the US senate seat currently occupied by Republican Sen. Ron Johnson, who has strongly hinted at not seeking a third term in 2022. In the meantime, Walker has used his time as a private citizen to barnstorm across the country campaigning in various states to enact a federal balanced-budget amendment by a constitutional convention. The former governor chairs a nonprofit group that seeks to replicate his success as governor in calling for an unprecedented convention to amend the U.S. Constitution for a balanced-budget amendment in 2017, across other states. Walker intends to visit Idaho, Montana, Kentucky, and Virginia this summer. Walker got heat from Wisconsin Democrats before departing office last year when he signed legislation that curbed the power of the newly elected Democratic governor and attorney general during a lame-duck session. Walker was one of 17 major candidates to launch a presidential campaign in 2016. After dropping out in September 2015, he endorsed Texas Republican Sen. Ted Cruz. Since then, he has appeared at rallies in support of Trump.